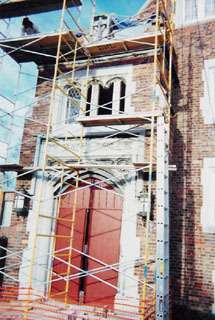 Saint Luke's Episcopal Church in Ypsilanti is one of the oldest churches in the state. 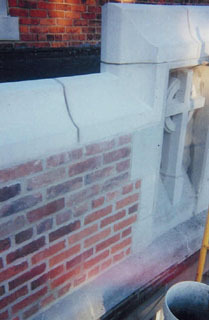 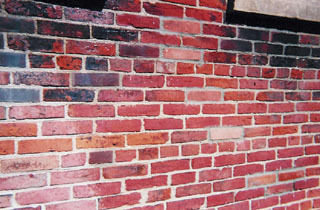 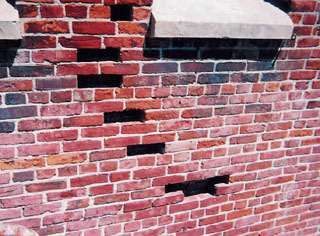 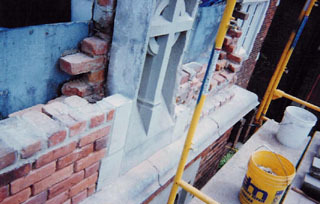 Consequently, it is in constant need of repair.This series of photos shows a masonry restoration project that was undertaken in 1997-1998. 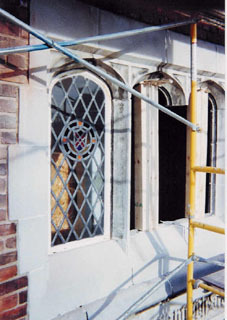 The challenge on this job was the removal of a deteriorated stone window jamb that was bearing a few thousand pounds of brick and stone above it. 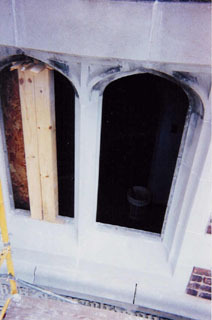 A new jamb was installed into the space with only 1/4" clearance overall. 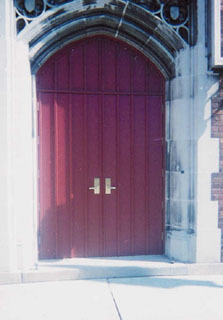 New wood doors with a decorative applique were also installed.